Includes blood red console and controller. 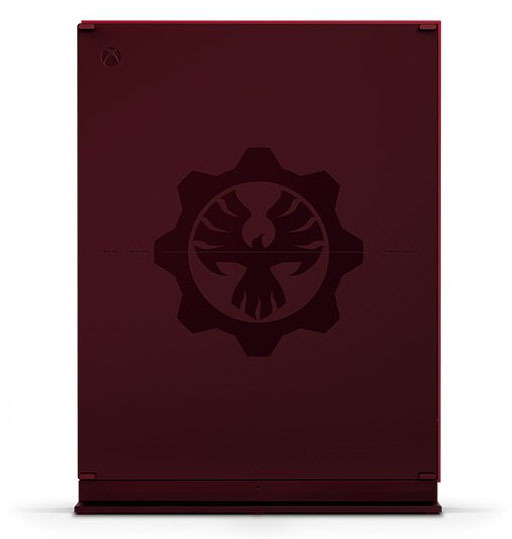 Microsoft will release a Xbox One S Gears of War 4 Limited Edition console, it has been leaked. 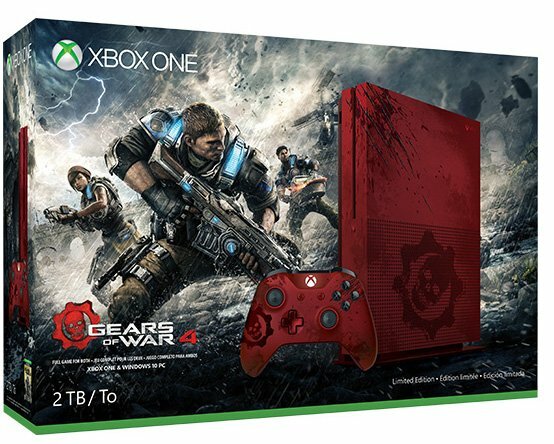 The bundle, reportedly priced at $449, will include a Gears of War 4-themed blood red Xbox One S unit with a two terabyte hard-drive, Gears of War 4-themed controller, and a download code for Gears of War 4. The download code is Play Anywhere compatible, meaning you’ll be able to play the game on both Xbox One and Windows 10 devices. The bundle was leaked by Twitter user @ekim_gaf (1, 2, 3, 4, 5). Gears of War 4 is due out for Xbox One and PC on October 11.